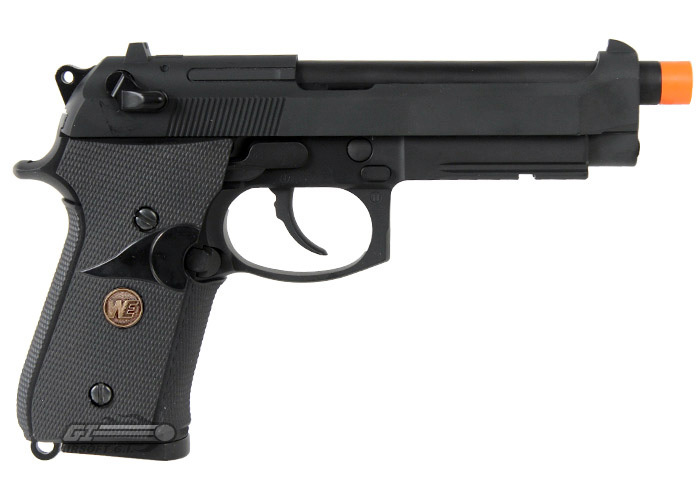 The WE Full Metal M9 is an excellent new pistol that was just added to WE line up. The slide is solidly constructed of metal for a realistic action and look. The lower frame is also metal for a realistic feel and weight. Also, the frame is railed for the addition of accessories like lasers or flashlights. The grips are textured rubber for comfortable feel with or without gloves. 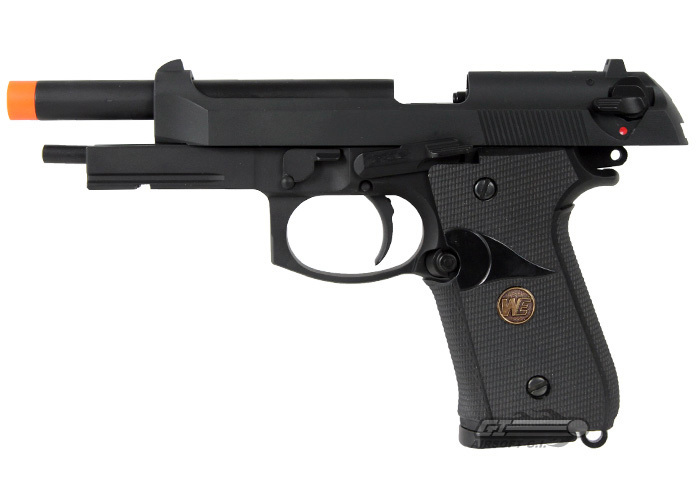 This is and updated version of a classic pistol. I bought this gun a little while back (actually about 2 years ago). it was incredible and worked great!! I had gotten extra mags for it and used it constantly. 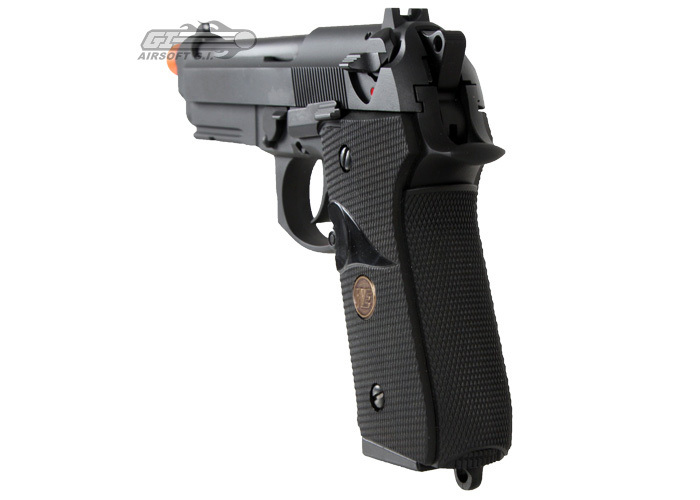 the rubber grips are nice and would put them on any m9 I got if it is possible (I haven't tried because I don't have a new one yet). it has a great weight and a great feel in the hands too. However, after about 8 months I started having a few problems with the mags, between not staying in and falling out to leaking so bad you could here it from about 20 feet away. It was so bad they wouldn't fire a single round. I fixed the mags and stored using it again. Then the gun itself actually broke one of the mags when I fired it and the gas and BB's came flying out in my face!! After that it all went down hill. By about a year the barrel would fall out and the mags would fall out, and finally now the gun itself just wont fire more than 3 rounds before completely emptying the mags (I have tried old and new ones in it) completely of gas. Also the safetyon mine no longer works. it is warn down or completely broken all together. 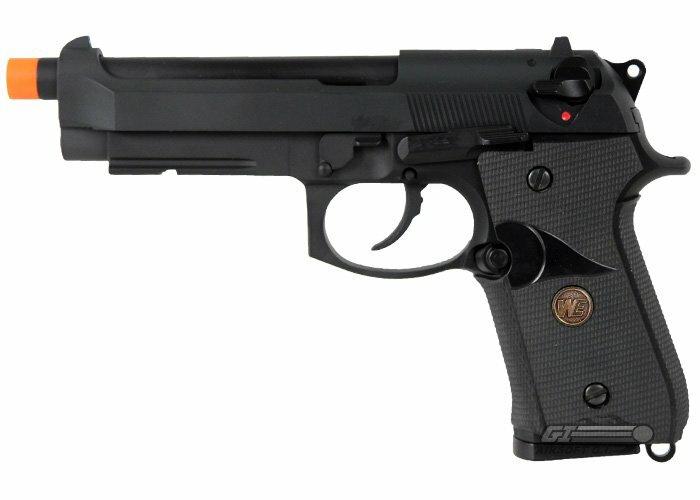 This was a great gun but does NOT hold the test of time and hard use (in the desert of Arizona at least). 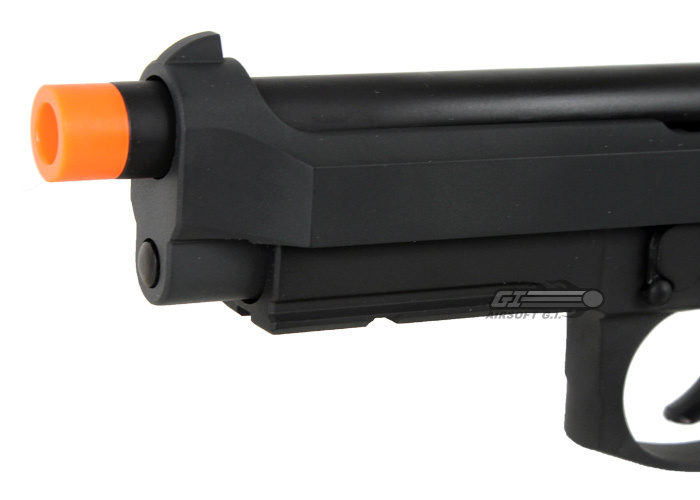 Its a great price and a great gun but if willing to spend the money, I would defintly suggest getting a KWA. they require a little more maintenance but is definitely worth the price and they will hold up!! It's got a nice sound when you shoot it. It's got a metallic "clang" sound to it. Slide release broke off after normal use. The grips, while comfortable, make it difficult for me to press the mag release. 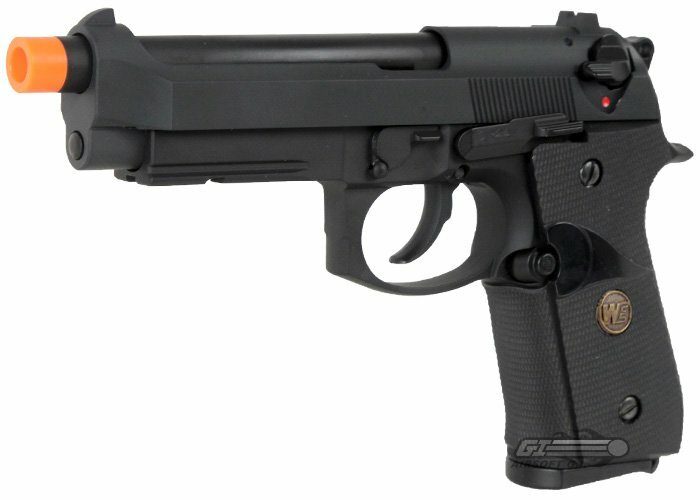 I have a regular WE m9 with the standard grips, and they don't give me that issue. This gun is very good for the price. I have not had any problems with the gun except for the build quality and non adjustable hop up. price, I got mine for only 85 dollars! what mags work for this gun? ?